Robt. 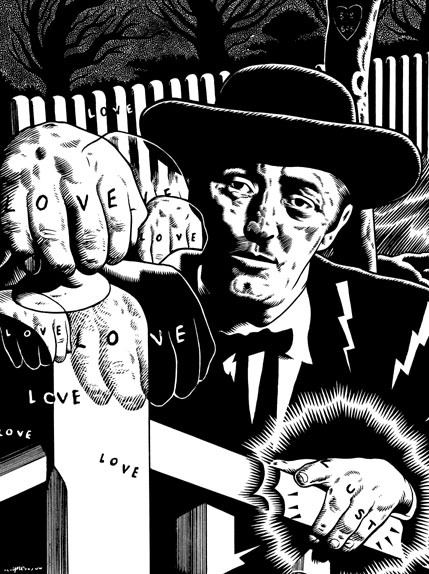 Mitchum from "Night of the Hunter," but with the proverbial twist. 2000. Image area measures 6" x 8". From the forthcoming LOVE POEMS FOR ROBERT MITCHUM, written by Robert Peters.